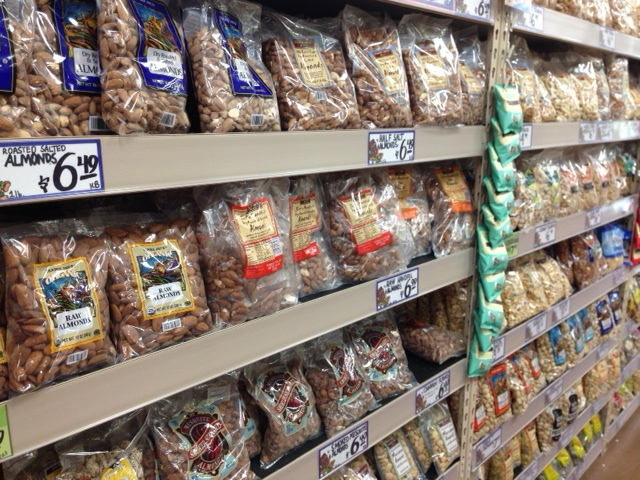 After all these years, we are still Crunchy Granola People. At the southeastern tip of Vermont is a town called Brattleboro where a family-owned bakery of self-described “crunchy granola people” makes some of the most delicious and nutritious granolas on the market. 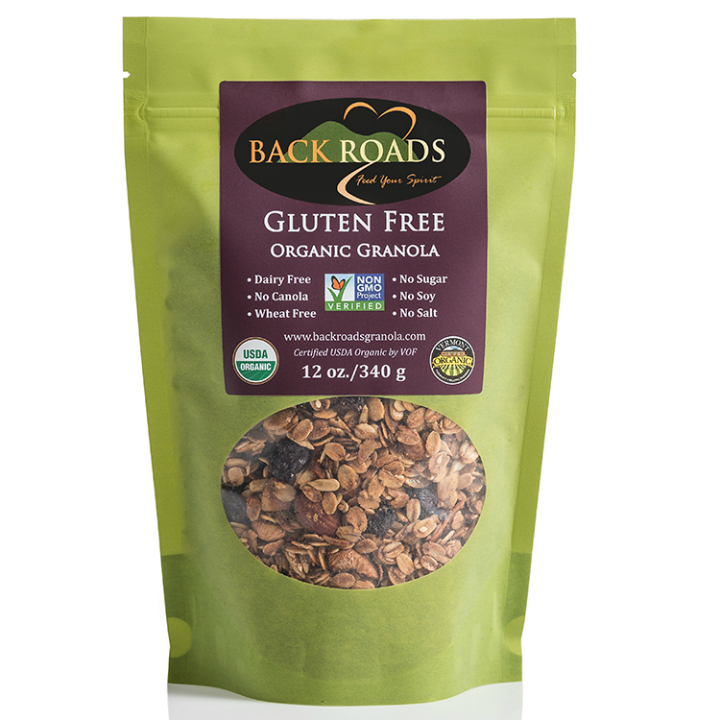 Using only non-GMO certified organic ingredients, Back Roads Granola is also noteworthy for what they don’t use: sugar, salt, canola oil, and no wheat products (all the granolas are certified gluten-free). Instead, the company uses Vermont maple syrup and honey to add a slight sweetness to the granola along with a touch of sunflower oil. Original Granola: Made with rolled oats, flame raisins (made from large red crunchy seedless grapes), almonds, cashews, sunflower seeds, high oleic sunflower oil, honey, Vermont maple syrup, shredded coconut, coconut chips, sesame seeds, and vanilla. 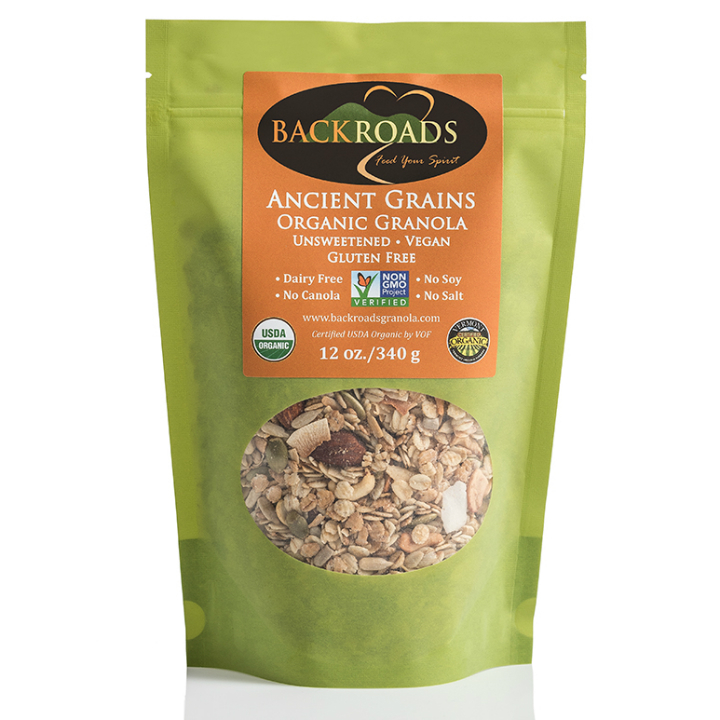 Ancient Grains: Made with rolled oats, coconut chips, cashews, pumpkin seeds, almonds, sunflower seeds, vanilla, high oleic sunflower oil, puffed millet, chia seeds, and puffed quinoa. Gluten-free Granola: Made with rolled oats, flame raisins, almonds, cashews, sunflower seeds, pumpkin seeds, high oleic sunflower oil, honey, Vermont maple syrup, honey, Vermont maple syrup, shredded coconut, coconut chips, sesame seeds, and vanilla. Maple Fig: Made with rolled oats, Vermont maple syrup, dried figs, sunflower seeds, pumpkin seeds, high oleic sunflower oil, coconut chips, shredded coconut, vanilla, and sesame seeds. Chocolate Pecan: Made with oats, sweetened cranberries (evaporated cane juice and sunflower oil), dark chocolate chunks (cane sugar, chocolate liquor, cocoa, soy lecithin (a non-GMO emulsifier), vanilla extract), pecans, cashews, oleic sunflower oil, honey, sunflower seeds, Vermont maple syrup, pumpkin seeds, shredded coconut, coconut chips, sesame seeds, and vanilla extract. Apricot Chai: Made with coconut chips, cashews, pumpkin seeds, sunflower seeds, apricots (unsulfured), sesame seeds, honey, Vermont maple syrup, vanilla, and Chai spice mix. Coconut Crunch: Made with coconut chips, pumpkin seeds, sunflower seeds, sweetened cranberries (evaporated cane juice and sunflower oil), sesame seeds, cashews, almonds, honey, Vermont maple syrup, and vanilla. Maple Pecan: Made with coconut chips, Vermont maple syrup, pumpkin seeds, sunflower seeds, dried figs, chopped pecans, cashews, sesame seeds, and vanilla. Pineapple Ginger: Made with coconut chips, pumpkin seeds, sunflower seeds, pineapple, crystalized ginger, brazil nuts, cashews, sesame seeds, honey, Vermont maple syrup, and vanilla. 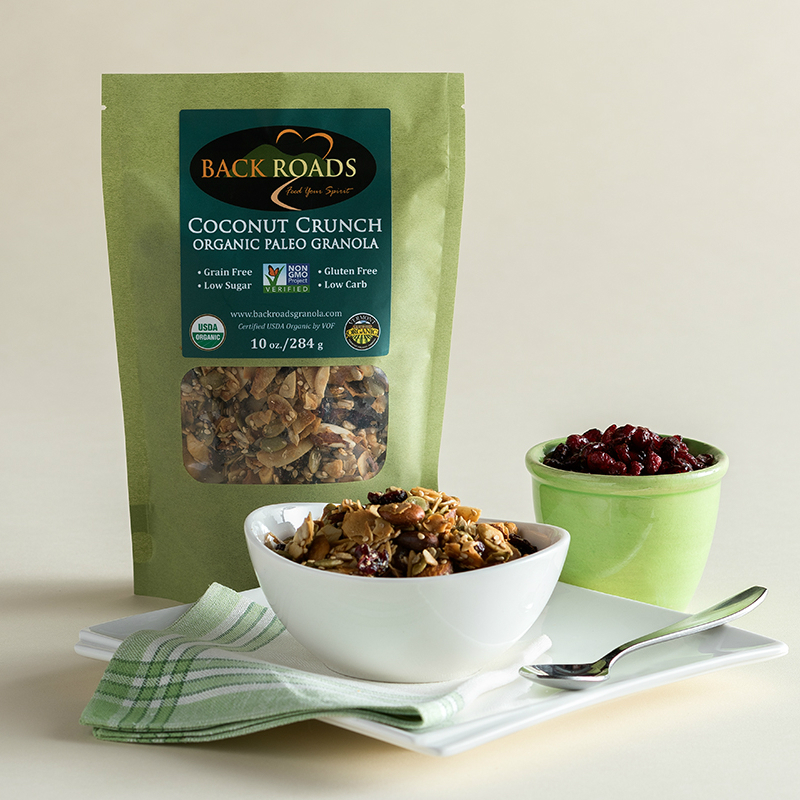 Back Roads Granola can be found in over 150 locations in 17 states ~ as far south as the Carolinas and west to Indiana. 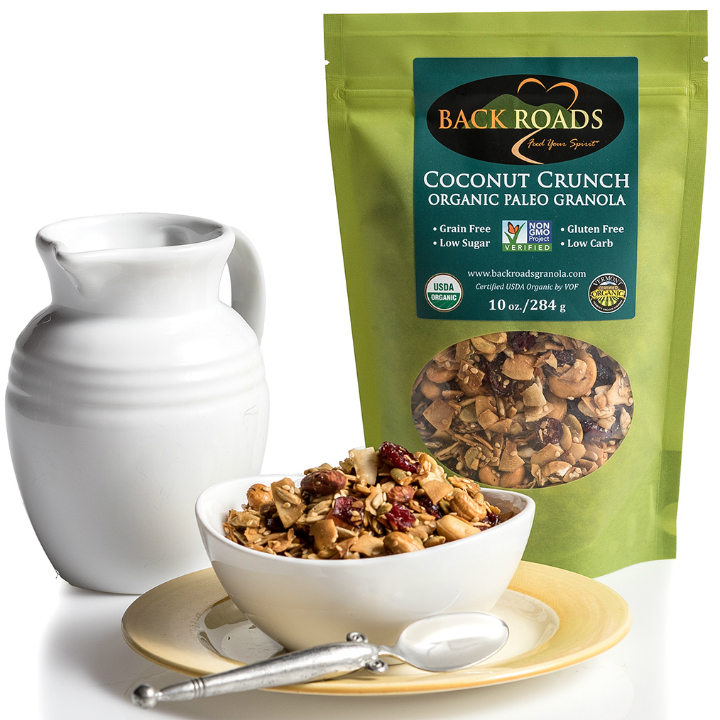 Contact the company at www.backroadsgranola.com to find out where you can purchase Back Roads Granola in your area & look for the granola in your favorite market on the grocery shelf and in the bulk department. 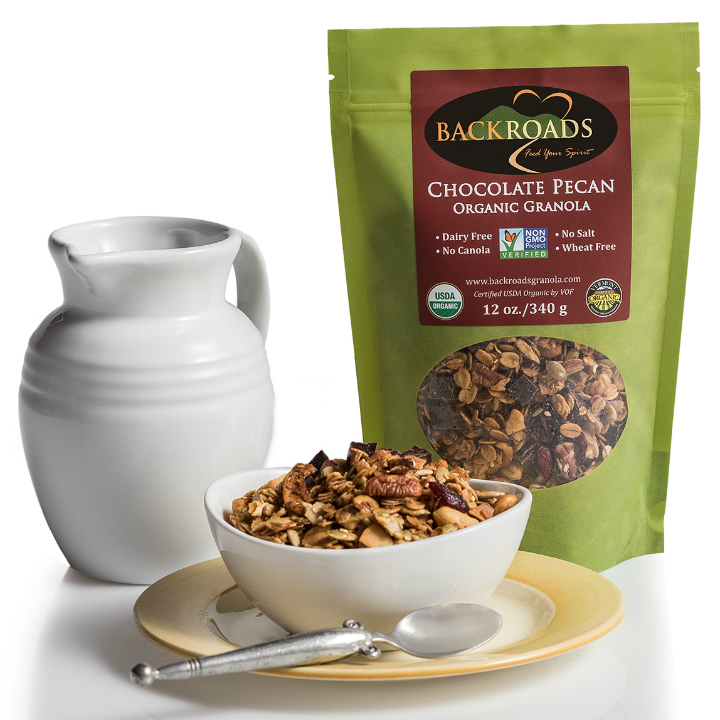 Or, purchase on-line directly from the company by clicking on the link: www.backroadsgranola.com. 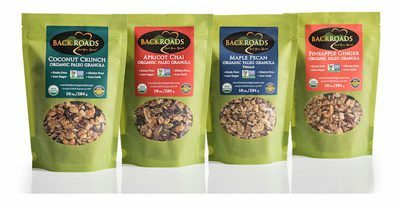 Back Roads Granola can also be bought in bulk ( six 10 or 12-ounce bags for $55 or twelve 10 or 12-ounce bags for $100 or a 2.45-3 pound bag for $34) or in a 9-pack sampler for $26.50. 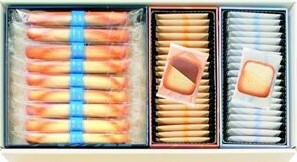 Shipping is included. ← Where Does $100 to the Clinton Foundation Go?